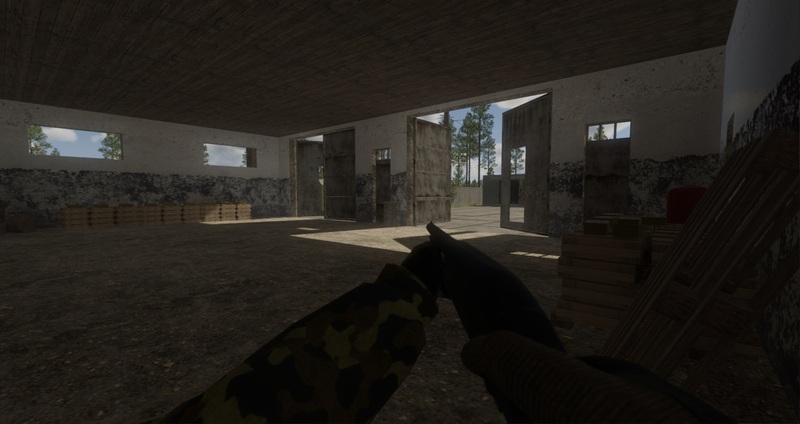 Greetings and welcome to development update 8! We've added another new weapon, the SKS, implemented irradiances volume to improve our lighting, and implemented our first character. 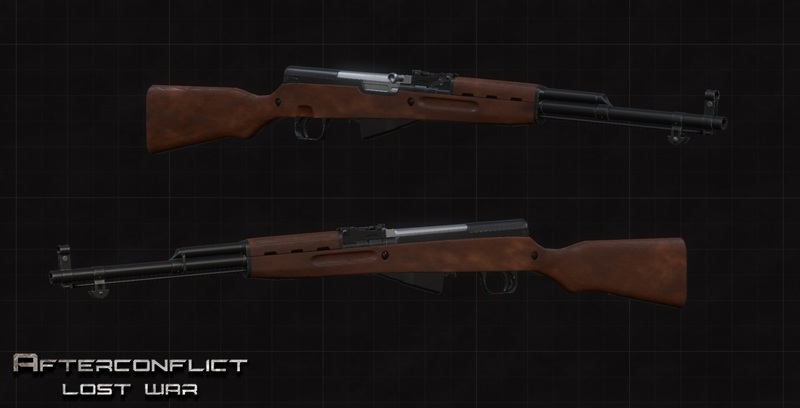 The SKS, a Soviet semi-automatic carbine rifle has been added to the game, shown here in wooden furniture. 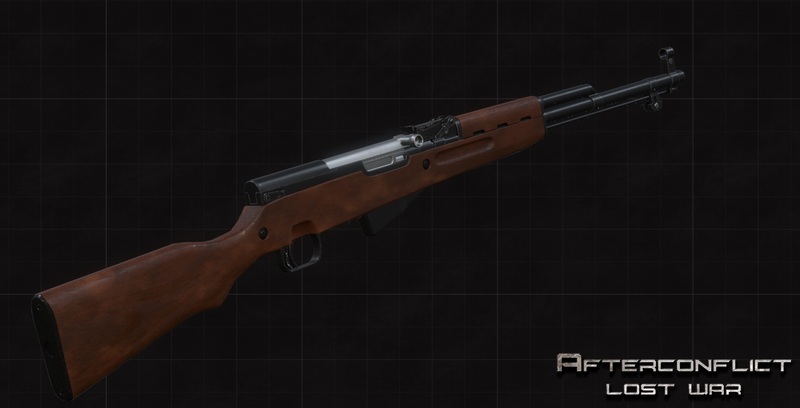 Using a version owned by one of the developers we replicated the weapon down to the smallest details. The SKS is chambered in 7.62x39mm with a 10 round internal box magazine. The SKS is loaded via stripper clip, fires its round at approximately 735 meters per second, and has an effective range of around 400 meters. The SKS's limited amount of rounds contained within combined with its high accuracy requires a player to be careful with each shot, but each shot can be very effective. We're currently working on irradiance volumes for indirect or ambient lighting. An irradiance volume computes a volume grid of radiance into second order spherical harmonics to provide lighting from all directions. This means that the volume, any objects in the volume whether it's static or dynamic will receive consistent lighting across the board. We wanted lighting to be consistent for all objects. We didn't want to use different lighting systems for static and dynamic objects. We didn't want any UV maps for lighting. Our previous method only succeeded in baking lighting on a static meshes using lightmaps, which doesn't apply to any dynamic object. 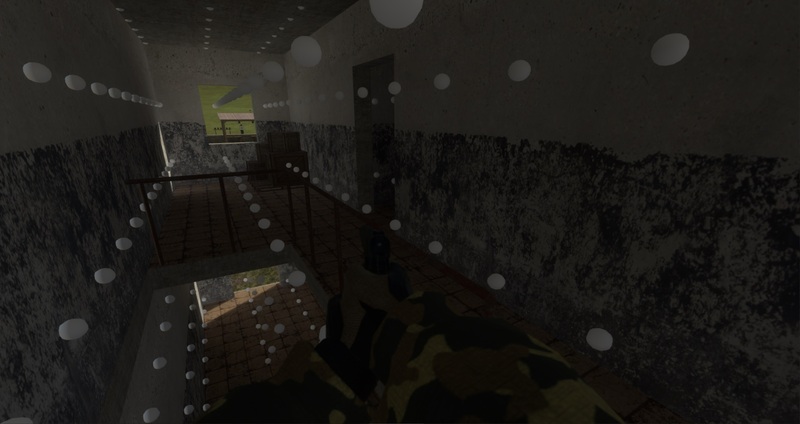 Another problem with lightmaps is they require a second layer of UV-maps to work. Using irradiance volumes meshes don't require a second set of texture coordinates or pre-processing in any way, which lowers the memory footprint from indirect lighting. In the image below the spheres shown represent the radiance points used to compute the volume. We use 3D textures to get automatic trilinear filtering from the GPU. We've also implemented and begun testing of the character. We based this off of a Russian soldier from 1992 who is wearing a 6B2 vest. 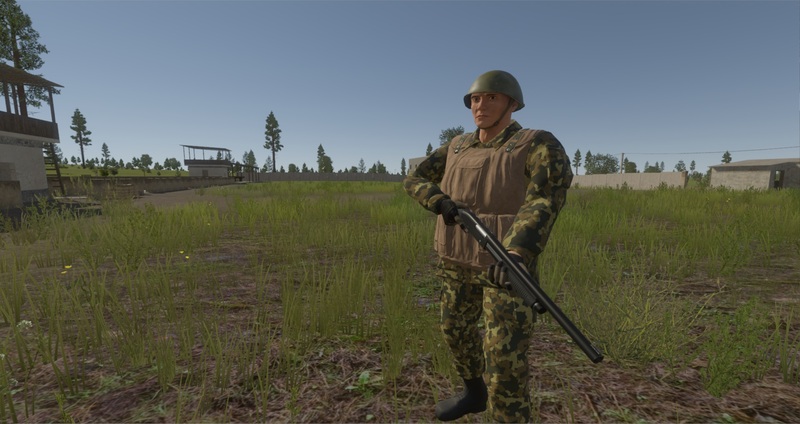 We intend to allow players in the future to ultimately change their appearance and what armored vests they wear, which will also change their play-style depending on the properties of said armor. This means a player who chooses to wear lighter armor would be able to run faster and for longer, but could take less hits, whereas a player who wears heavy armor would be slower, but be able to absorb more bullets, granted they hit the armor. 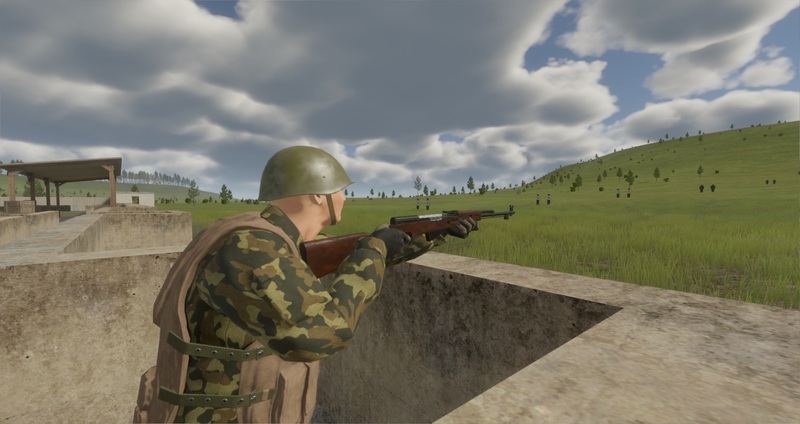 The character currently still needs improvement, and we plan to give the player as much freedom of movement as possible, such as side-leaning.